The term “wounded healer” was first coined by psychologist Carl Jung. It described the healing of the patient while the healer himself is in pain. For most people, the immediate reaction to hurt and pain is the fight or flight paradigm. The flight or fight human response is similar to what animals do when in danger. From this perspective, protecting oneself, and in most cases, taking revenge against one’s oppressor became highly valued. The flight-fight response was challenged by an alternative response to threat. 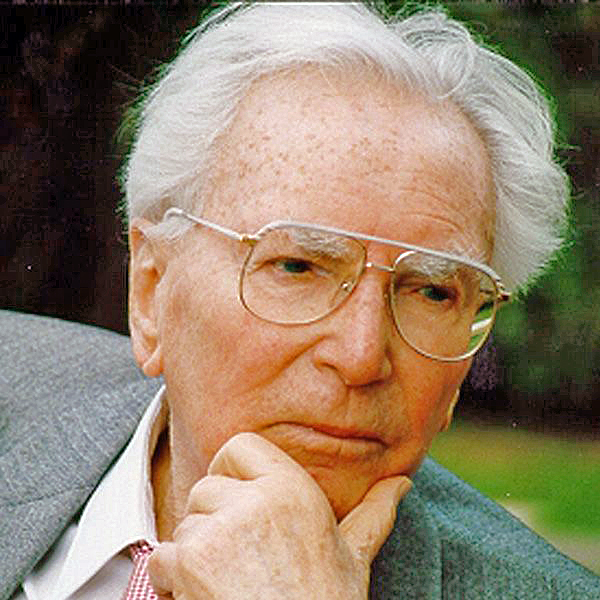 Victor Frankl, the 20th century psychiatrist, impacted the world with his view of the stimulus and response to suffering and torture. He himself was tortured in a Nazi concentration camp and while enduring suffering, he discovered the truth about human response to pain and hurt. He said: “Between stimulus and response there is a space. In that space is our power to choose our response. In our response lies our growth and our freedom.” In fact, in a conflict situation, we can chose to flight or fight but also to treat our opponent as a patient, a person who is also hurt and needs help. Frankl’s experience in the concentration camp opened a new paradigm to resolving conflict in our everyday relationships. Conflict is a sad reality of our everyday human experience. Historically, religious conflict has often led to misunderstanding and division between people. The Unification Movement, founded in 1954 by Rev. Sun Myung Moon, which aims to bring peace between people from different faiths and cultures, is facing internal turmoil. Though the Unification Movement has been a major advocate of unity among religions, it currently faces internal division and conflict. Could the wounded healer paradigm be applied to the current conflict to bring the divided family back together again? Can the conflict be seen from a spiritual dimension? A spiritual approach to conflict includes the search for human soul, which also extends to the death of ego and the emergence of the spirit. During the first 40 years of its development (1954-94), the Unification Movement flourished under the charismatic leadership of Rev. Moon. Father Moon’s wife, Mrs. Hak Ja Han Moon, began to take a more prominent leadership role in the worldwide movement with the establishment of the Women’s Federation for World Peace (1992). By 2010, the worldwide movement was faced with the reality of conflict. On September 3, 2012, Rev. Moon ascended to the spirit world. Shortly after his passing, Mrs. Moon announced to the worldwide membership she would continue to lead the Unification Movement forward and complete the work of her husband. Mrs. Moon’s eldest and youngest living sons, Hyun Jin and Hyung Jin Moon, do not believe Mrs. Moon, their mother, should be leading the worldwide movement, and lead breakaway organizations. Conflicts between Mrs. Moon and her two sons have led to the fracturing of relationships and leave-taking by some throughout the worldwide movement, with many people seeing no resolution in sight. In any relationship where conflict is present, we have to acknowledge how our own actions and behaviors have caused pain to others. From this perspective, we have a better chance to resolve the conflict, instead of blaming, judging, and finding fault in “the other.” How to heal the pain and any unresolved psychological wounding becomes the primary orientation to resolve the conflict. Addressing conflict from this vantage point creates needed space to go beyond our own limited, strongly held beliefs, and allows us to see “the other” in a different light. In any relationship there is a potential for hurt, misunderstanding or division. When emotional pain or unresolved resentments are present in a relationship, it is helpful if each party is able to acknowledge this reality in an honest and constructive manner. In the present conflict, we are led to believe it’s all about conflicting and competing ideologies and theologies, exacerbated by the bad behavior of misguided, corrupted leaders. However, a closer look reveals unresolved emotional and psychological wounds that have not been adequately acknowledged and addressed. If we are not aware of our own unresolved emotional pain and refuse to acknowledge and deny this aspect of ourselves, there are fewer chances to effectively resolve the conflict itself. When we are so consumed with our own pain, when our own pain controls us, we play the victim and can no more listen to the pain and suffering of others. So we easily judge, condemn, reject, and push away others. In fact, when we choose to become the wounded healer, we create the possibility for unity and peace and on that foundation, God’s providence can move us forward. When we choose to withdraw, to blame, and to retaliate, then we allow disunity and only our ego is victorious. All unresolved conflicts are the manifestation of human ego. For a peaceful soul to emerge in us, the ego must die; as the Holy Scripture say, “Truly, truly, I say to you, unless a grain of wheat falls into the earth and dies, it remains alone; but if it dies, it bears much fruit” (John 12:24). This is incontestably the path to human maturation and the peaceful resolution to any conflict. Even though Christ was wounded, he became a healer of the world. This could be considered a classic spiritual path to resolve conflict between individuals and groups. As he said while hanging on the cross, “Father, forgive them…” His attitude toward his enemy became a universal message known as the Gospel, the good news and the hope for humanity. This model set the pathway for all of us to symbolically die every day, not only for those we love and care for, but also to heal our enemies. Unity and peace depends on the genuine and sincere will for all parties to want to forgive, unite and love again. What brings healing to enemies is not necessarily proving them wrong but engaging in a sincere dialogue to seek for mutual understanding. When the focus is about who will win over at the end it sustains a perpetual conflict between parties. Additionally, a “win-lose” spirit inflates the ego and promotes mistrust between groups. It is driven by the idea that someone has to be subdued or punished at the end and no one would like to experience losing a fight. In fact, the win-lose mentality ultimately leads to a lose-lose result for all parties in a conflict. The wounded healer paradigm demands that parties in conflict come to an integrative solution that preserves the dignity of all. Perhaps the wounded healer paradigm can serve as the model to heal the divided among the different parties of the Unification Movement. The current framing of the conflict tells us someone is right and someone is wrong. It insists the “others” change their viewpoint and come around to the “correct” viewpoint. It’s about someone having “God’s point of view” and someone not having God’s point of view. It’s about someone being on “God’s side” and someone being on “Satan’s side.” This approach emphasizes polarity and division. It increases the level of mistrust and distrust between parties in a conflict and their followers. There is no doubt that Mother Moon loves all her biological children and she also extends her love to all Unificationists expecting them to fulfill their responsibilities in uniting with her. However, when wounds and pain are part of the relationship, a healing approach is most effective compared to other methods. Form a small committee that represents all parties in the conflict: There are always two sides of a story in each conflict and the purpose of a committee is to provide a safe environment to hear each other’s sides of the story. The committee will listen to the deepest concerns and aspirations of all parties: Therapeutic listening is applied in seeking healing in the process. The committee will draft win-win proposed solutions: Parties own their solutions to the conflict, and are not mandated to them. The committee shares the proposed solutions with the leaders of each party and gets their feedback. When all parties accept the final resolution, the committee takes action to organize a symbolic ceremony, which includes all. The committee then reports the final resolutions to the larger Unification Movement. The wounded healer paradigm approach to resolve conflict can be very challenging for those who dwell only in their pain. It takes courage, humility, and patience toward “the others.” At first, it can appear as losing, but only the ego is losing and our authentic self is emerging. The process can be painful and even humiliating at times. However, if done well it can be rewarding and beneficial for the whole. Parties can also choose to refute the wounded healer approach and repeat the failure of history. It is true, peace starts with each one of us, but to make peace with the enemy, an emotional price is sometimes paid in the process. What each party will have to let go of is something to heal the fracturing relationship. 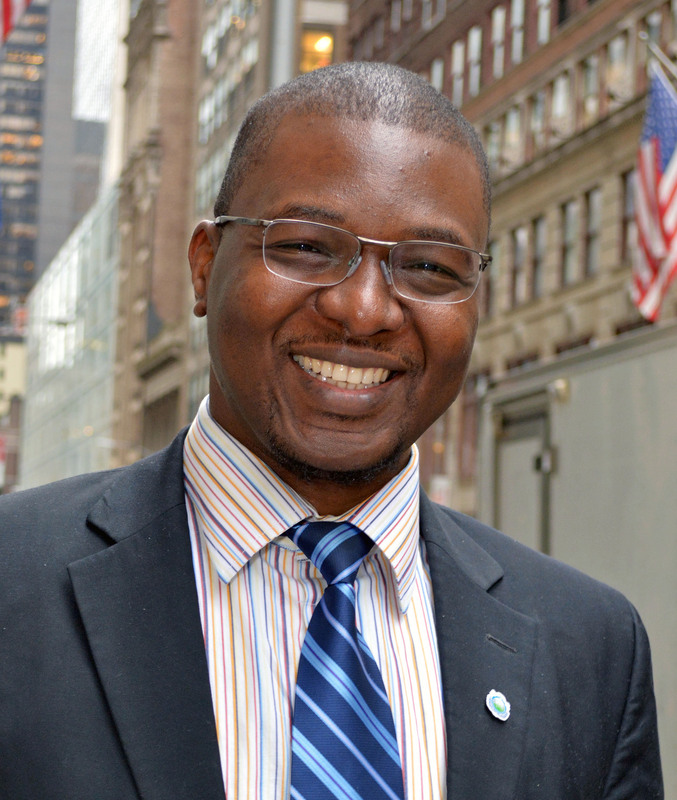 Dr. Drissa Kone is Director of Student Life and an adjunct faculty at UTS. He is also the local minister of the Belvedere Family Community in Tarrytown, NY. Dr. Kone was born and raised Muslim in the Ivory Coast and joined the Unification Movement in 2003. He earned his M. Div. in spiritual counseling at UTS in 2012, and an M. A. in diplomacy, specializing in conflict management and negotiation, from Norwich University in 2014. He obtained his D. Min. in peace and justice from UTS in 2016, focusing on transformational leadership and the effective management of cross-cultural conflict between communities. Thank you for your thoughts, Dr. Kone. This isn’t a normal conflict. It involves serious aspects of restoration dealing with attitudes, behaviors and ego. A lesson to learn from Adam and Eve’s story is that they should have had faith in their Heavenly Father’s love for them despite His warning to them not to be intimate. It must have seemed unreasonable to them, but instead of working it out with their Father, they turned against Him. It’s important to realize that the Father isn’t the one who must restore this failure. Both Hyun-Jin and Hyung-Jin felt wrongly treated by their Parent. These brothers were placed in that position in order to go beyond the failure of our first ancestors. They should have trusted their Father and Mother and worked it out. Each of them would have understood better why this was happening to them if they knew the Principle well enough to put their couples in place of Adam and Eve in the garden before the Fall. They need to have faith in True Parents’ love for them and an absolute determination to overcome every obstacle. It’s still not too late. Before Jacob got the victory that led to the establishment of the chosen people of Israel, he was required to demonstrate faith through a long suffering course that was initiated by Mother-Son cooperation. Much later, one of the main reasons Jesus’ course failed was lack of Mother-Son cooperation. Therefore, both Hyun-Jin and Hyung-Jin, when they found themselves doubting True Mother, should have found some way to preserve Mother-Son cooperation. Jacob’s mother was his protector and his mission was to unite with her. But Jesus was in position of messiah, so Mary should have united with her son’s desire to receive a bride. Today, True Mother is in position of the messiah here on earth, and so the responsibility of every one of us as her sons and daughters is to humble ourselves and unite our hearts with hers. I am sure that we don’t always have to agree with Father or Mother’s strategies and tactics and pronouncements, but we do have to trust TPs’ motivation and stay united with them heartistically; especially on those rare occasions when we go out on a limb and try to do something our own way. We also have to trust that if and when our Mother’s strategy differs from our Father’s, nevertheless they are still totally united in heart as one, and as long as one of them is still on earth, we have no excuse. A very logical article. It is Western Christian thinking, but could help in many conflicts in the world today. Maybe this is the reason why we have to go through these difficult times in our movement. As someone who has listened with an open mind, I am not hopeful this will happen. Too entrenched are all sides by now, claiming the right viewpoint and heaven’s support each for themselves. And all sides concerned are preparing their respective heirs, who are trained in the same way of thinking and tradition. Family ties might normally be considered an advantage in solving issues, but in this specific case they have become the opposite. They (think they) know each other’s weaknesses and use these perceived weaknesses of the others against them. And they have outsourced the resolution of their relational differences to the courts, thereby submitting to the “fallen world” they claim they will save. Church members keep thinking they can “unite” our movement, when it’s never really been “united” in the first place. From its earliest days the movement was beset by competing ideas and only Sun Myung Moon overshadowed them. With him gone, it’s natural these ideas are openly competing and people divide into the camps that make the most sense to them. Lockstep “restoration” is a non-starter and always will be. Unconditional lovingness is a personal way of life. When people try turning it into a movement, society, national, or global way of life through any means other than absolute freedom to /not/ be loving, only unloving conflict ensues. This article might be useful in a situation where parties in a conflict actually want to resolve the conflict that in some way benefits the other side. But, honestly, that’s pretty rare, if not non-existent, in human relations. And our movement plays into that dynamic by claiming that God is a party to the conflict, with His own side and way of life He wants imposed on humanity. “The Decalogue of Dialogue” advocated since 1984 by Professor Leonard Swidler of Temple University (and translated in over nine languages), has been a model for dialogue, growth and understanding differences among individuals belonging to a variety of faith groups. Yet, several premises underscore these models. It does not insist on change and the process for dialogue occurs under conditions of “personal trust” as well as treating others “as equals” while in dialogue. Yes, suspending our beliefs, in order to encourage and encounter dialogue may be temporarily necessary to hear the stories, hurts and pains of others. We chaplains and counselors do this all the time for individuals. However, as often seen in interfaith dialogue — yes, growth and internal understanding can occur and does offer some mitigation of pain and misunderstanding. However, afterwards, we can be left with a “relatavistic multiculturalism” where different objectionable practices continue regardless of moral or ethical consequences. We can become “brothers of faith” who are tolerant of each other and yet not actually change or transform culture at all. In the end, as Jim Mathison wrote, our UC articles of faith come with a moral authority and principles (DP). The crux of conflicting faith schisms, within our ecclesiastical body, that Dr. Kone is attempting conflict resolution methods for, involves vying for authority where not “all are equals.” As Wilfred Bion’s theory of group dynamics shows, group formation and homeostasis is based on the initial assertion and continuation of dominance behavior of power roles (for all groups, secular and religious alike). While we all might be initially jubilant to hear that certain players or representatives might actually “come to the table” for dialogue, in the end, a true resolution or viable change could only last through our True Mother’s authority at that table of dialogue according to our articles of faith in the Messiah/Double Messiah as the basis for moral authority in this Completed Testament Age. In True Mother’s 2018 New Year’s speech, she reiterated that without centering on True Parents, the secular world has no hope. Any following of Dr. Kone’s suggestions might be helpful. However, no matter how attitudes would change, it’s very hard to believe there could be full unity. 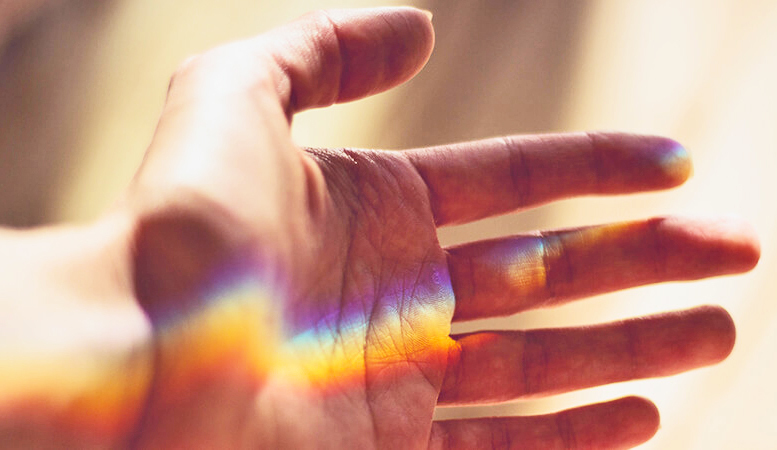 A wonderful article with helpful advice on how we can each contribute to the healing process. The idea of a committee coming together to heal the rift seems off target to me — an organizational solution to a heartistic problem. Ultimate healing must come from within the True Family itself. True Father in the spiritual realm and True Mother in the physical realm are the “Wounded Healers” in the molds of Jesus and God, our Heavenly Parent. We can take consolation in faith that True Love will win in the end. It seems that you are being called for a great mission. Whenever one receives an inspiration –- and in your case, it’s more than an inspiration –- one becomes responsible to make it a reality. This being said, I personally believe – know – that this conflict between the members of the True Family must first be solved within myself. I have had plenty of ‘enemies’ along my 46 years within the Unification movement that I have come to forgive and love – and every time, I first brought the victory deep from within myself – like Jacob at the Ford of Jabbok. I – together with my trinity partners – now focus on bringing the same victory in our neighborhoods, city, and hometowns, through building a 430 Blessed Couple-Tribe. When, we, Blessed Families, bring victory in our neighborhoods and cities, centered on the core message of overcoming the Fall of Man – the very act that brought about misery to the human race – imagine the revolution that will take place in this country. Then, the conflicts within the True Family will not be able to stand and will vanish like vapor. And this depends on us, and no one else. Your response is beautiful and rings so true…to have us all stop focusing on the schism/problem, and focus on fulfilling our responsibility to our neighborhoods and cities to save America. Thank you for listening so closely to your original mind. The author here presents a “relational” path for reconciliation and “unification” which apparently is in stark contrast (for some) to the “absolutist” path we see presented within certain circles so often. Refreshing. Perhaps, here, once again, we have impetus for that debate. Dr. Sebastian A. Matczak’s groundbreaking work on Unification Philosophy might be a logical (and helpful) place to revisit. All are relational paths. To say an either/or way is a mischaracterization of what has been shared. Several us are validating family relationships in our theology coming from Confucianist influence, as well as the Messianic role of moral authority (TM’s message of Spirit and Truth) similar to the biblical notion of “Christ as the head of the church.” That does not mean that relational ways of valuing the input of others in active listening are not also utilized as I mentioned in my comments. These added comments give a context that is specific to UC, rather than a secular, existential or relativistic context. What is refreshing, and very much needed as implied in your comment, is that active listening and valuing all people’s experience in dialogue is an essential ingredient to better relationships and internal understanding. We can always improve on this in all contexts, whether marriage relations, family relations, church relations or group ecclesiastical relationships that come from an extended family relations ethic mentioned in UT and DP. It is true on a certain, universal level, one might say “all paths are relational”; however, as regards overall perceived, possibly current schema of the UC organization, the relational pathways appear, at least, to be quite broken, dysfunctional. But thank you, Donna, for mentioning the Confucian influence as well as the point regarding (Christian/UC) Messianic authority — valid and essential, though I certainly have further, possibly differing thoughts on both. As to “context that is specific to UC, rather than a secular, existential or relativistic context,” I would simply ask why does such need to be “rather”? Yes, let’s all try and be more active listeners — even with each other. Great article. I think this healing method could succeed if all our brothers and sisters supported and prayed for healing to happen. Dr. Frankl’s method did resolve many conflicts. Let’s wish prayers for a positive and healing process in the UC movement. Very good article. But another perspective that few readers may even want to consider is that organizations themselves have a lifetime and that what we may currently be witnessing is the decline of an organization that has served an important purpose, but whose time is now coming to an end. That is not to say that the core teachings of Reverend Moon and the Divine Principle will not eventually become universal truths that guide all human behavior and relationships. But if such a reality does come about, the Unification Movement as we know it today will likely be a distant memory. Thanks for this article, Dr. Kone. Very interesting educational essay about peacemaking — your forte! Your suggestions for healing are predicated on the will to forgive. As you say, we have the power to choose our response, but it can only be chosen freely. This is why God’s providence has been so prolonged, because we (myself included) so often choose not to forgive, love and unite. I believe this is essentially correct. Maestro Daniel Barenboim says that his West-Eastern Divan Orchestra, comprised of young musicians from Israel, Jordan, Egypt, Lebanon, and Syria, is not a “peace orchestra, but rather an anti-ignorance orchestra.” He posits, rightfully so, that any attempt at ameliorating antagonisms “requires painful listening and sensitive speaking.” This is an important step in overcoming ignorance. In our attempts to heal there first must be a proper diagnosis of what is causing the problem and pain. Only then can a proper remedy be applied and healing occur. And any doctor will acknowledge that it takes the necessary first step of listening to the patient in order to ascertain the proper diagnosis — and remedy. That said, as Dr. Ferrantello points out, there is a faith issue here, namely the basic tenet of Unificationsm that the spiritual authority of the “double Messiah” is sacrosanct. As she states: “The crux of conflicting faith schisms, within our ecclesiastical body, that Dr. Kone is attempting conflict resolution methods for, involves vying for authority where not ‘all are equals.’” Or put another way; not all have equal authority. The various groups that have splintered off are calling this authority into question. It would seem that until there is a reconciliation with all parties on that issue (the root cause of schisms), serious healing cannot happen. Regarding the Confucian model (and Taoism by extension), we must remember that it doesn’t take into account the concepts of sin (original, personal, inherited, collective), restoration or salvation, the merit of the age, a messiah as “mediator,” nor the idea of God as a loving parent or God’s “heart of Han.” Divine Principle (in the introduction of the pre-1996 edition) speaks succinctly to this point and why the Judeo-Christian tradition is closer to providing the understandings of the fallen human condition and how to rectify it.